Gold Medal Bakery 16 Finger Rolls. www.goldmedalbakery.com. 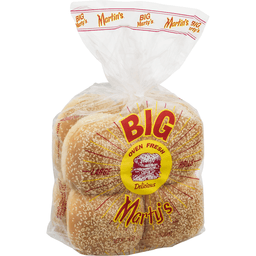 BIG Marty's® Large Rolls. Oven fresh. Delicious. Per 1 roll serving: 180 Calories. 1g Sat fat, 5% DV. 270mg Sodium, 11% DV. 2g Sugars. Net Wt. 18 oz. (1 lb. 2 oz.) 510 grams. Martin's® famous Dutch taste. American family owned and operated. High quality ingredients = Great tasting rolls and bread! We use high protein wheat flour, nonfat milk, real cane sugar, yeast, and real butter in our bakery products. 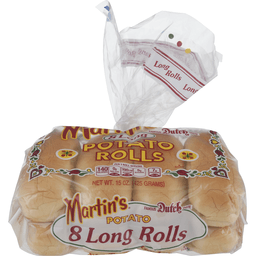 We believe that our high quality ingredients and our dedication to excellence are what has made "Martin's Famous Potato Rolls" the preferred choice in America for the past 50 years! May god bless all our customers with goodness and health! We appreciate every one of you! From, The Martin Family & Martin's Team. A natural with spaghetti. Delicious to serve at every meal & for sandwiches. What makes the perfect roll Soft and tastes great. No high fructose corn syrup. No artificial dyes. No azodicarbonamide (ADA). No trans fats. Non-GMO*. Contains B vitamins, calcium, & iron. Try one half roll with tomato sauce and cheese toasted in oven like a mini-pizza. *We source non-GMO ingredients. For more information, go to our website: www.potatorolls.com/about/faqs. Reg. Penna. Dept. Agr. Call: 1-800-548-1200 (8 am - 5 pm / M - F). 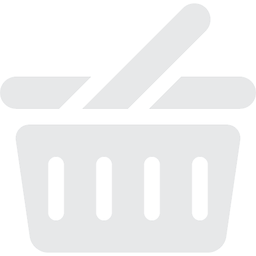 Visit: www.potatorolls.com. 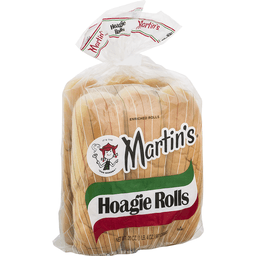 Martin's® Hoagie Rolls. Enriched rolls. Per 1 roll serving: 230 Calories. 1g Sat fat, 4% DV. 390mg Sodium, 16% DV. 3g Sugars. Net Wt. 20 oz. (1 lb. 4 oz.) 567 grams. 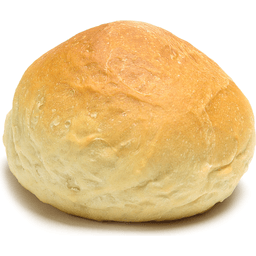 What makes the perfect roll Soft and tastes great. No high fructose corn syrup. No artificial dyes. No azodicarbonamide (ADA). No trans fats. Non-GMO*. Contains B vitamins, calcium, & iron. Famous dutch taste. High quality ingredients = Great tasting rolls and bread! We use high protein wheat flour, nonfat milk, real cane sugar, yeast, and real butter in our bakery products. 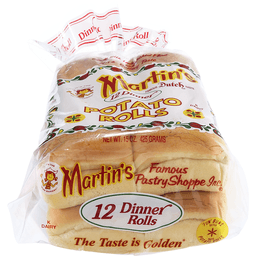 We believe that our high quality ingredients and our dedication to excellence are what has made "Martin's Famous Potato Rolls" the preferred choice in America for the past 50 years! American family owned and operated. *We source Non-GMO ingredients. For more information, go to our website: potatorolls.com/about/faqs. Reg. PA Dept. Agr. Call: 1-800-548-1200 (8 am - 5 pm / M - F). Visit: www.potatorolls.com. Martin's® Dinner Rolls Potato. The Taste Is Golden. "It's The Fun Bakery". Famous Dutch Taste. 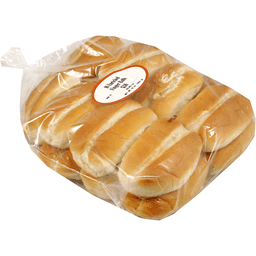 Enriched Rolls. Made With Unbleached flour and has a buttery taste. Per 1 roll serving: 90 Calories. 0g Sat fat, 0% DV. 115mg Sodium, 5% DV. 3g Sugars. Net Wt. 15 OZ. (425 Grams). 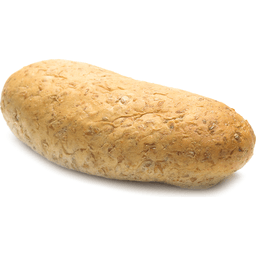 We use high protein wheat flour, nonfat milk, potatoes, real cane sugar, yeast, and real butter in our bakery products. We believe that our high quality ingredients and our dedication to excellence are what has made "Martin's Famous Potato Rolls" the preferred choice in America for the past 50 years! American family owned and operated. 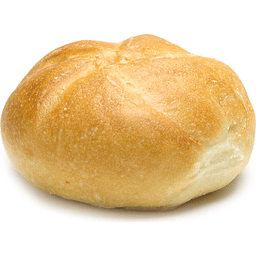 What Makes the Perfect Roll Soft and tastes great. No high fructose corn syrup. No artificial dyes. No Azodicarbonamide (ADA). No Trans Fats. Non GMO*. Contains Vitamin B1 and Calcium. Maxi mmmm flavor our home recipe. Delicious to serve at the nicest dinners. 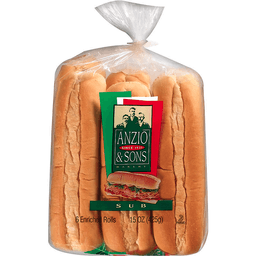 Delicious to serve at every meal & for sandwiches. High quality ingredients = Great tasting rolls and bread! (*We source non-GMO ingredients. For more information, go to our website: potatorolls.com/about/faqs). Call: 1-800-548-1200 (8 am - 5 pm / M-F). www.potatorolls.com.